Director of Serology and Quality at Georgia Poultry Laboratory since July, 2010. Prior to that time was Director of Global Poultry Business Unit, Synbiotics, from 2003-2010. 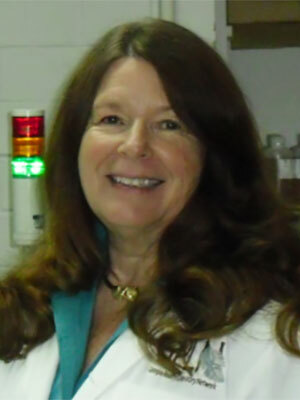 Was Director of Sales and Marketing, Lohmann Animal Health International from 1998-2003. At IDEXX from1996-1998 as Sales Manager for Production Animal Services, North and South America. From 1988-1996 was National Sales Manager for Poultry Diagnostics at Kirkegaard and Perry Laboratories. Received a M.S. Degree in Microbiology from Mississippi State University and was Virology Department Director at the Mississippi Veterinary Diagnostic Laboratory for seven years. Because GPLN is often asked how kits form one vendor compare to those of another, the company decided to perform specificity studies on certain kits from a number of suppliers of ELISA kits. This information enables the Laboratory to choose kits that best fit the needs of its customers. Customers are concerned when screening tests provided positive results and confirmatory tests, yield negative results. Sometimes this is due to an early infection which the confirmatory test does not detect, but many times it is due to a lack of specificity of the ELISA test. This study helps define the kits with the highest level of specificity.